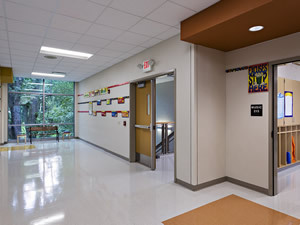 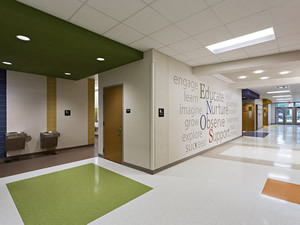 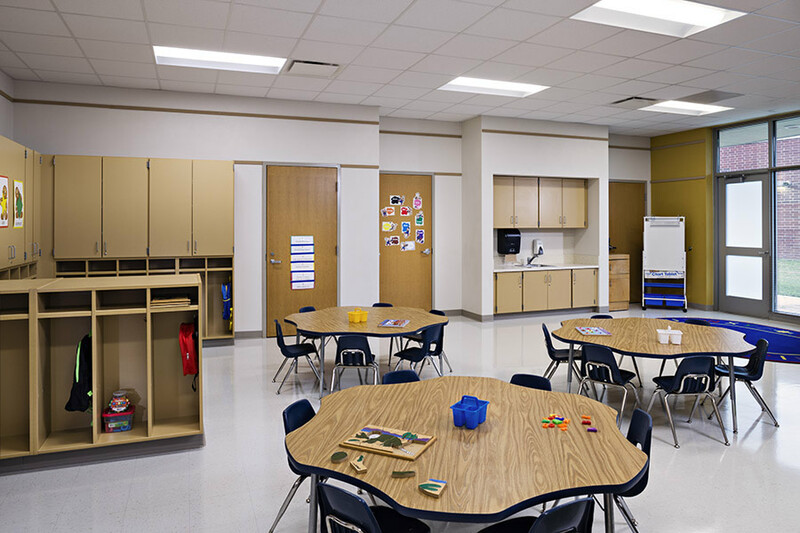 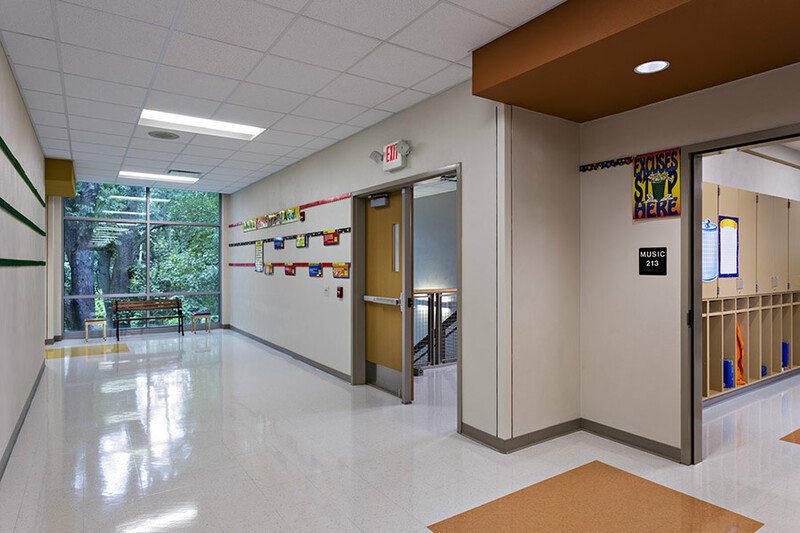 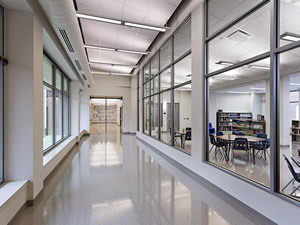 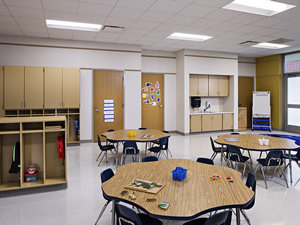 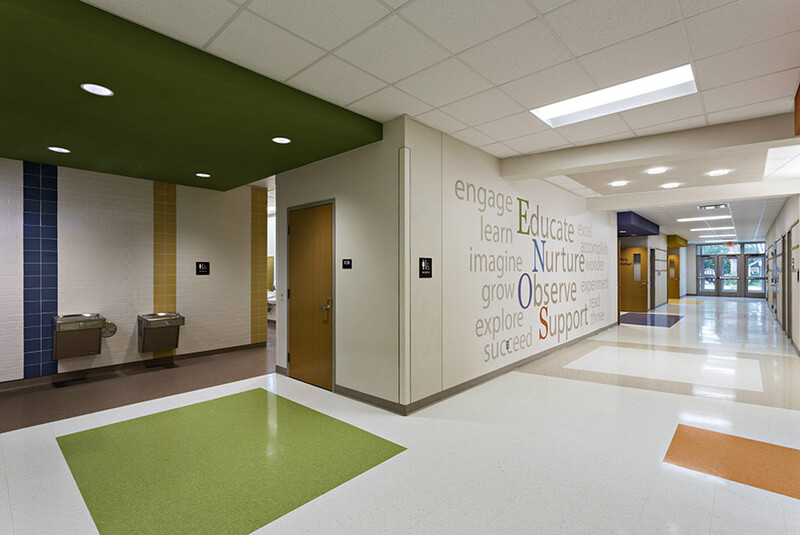 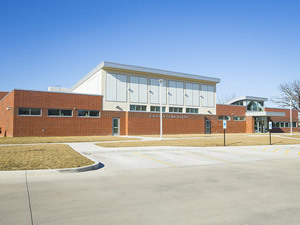 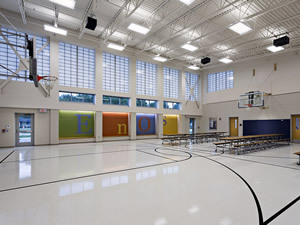 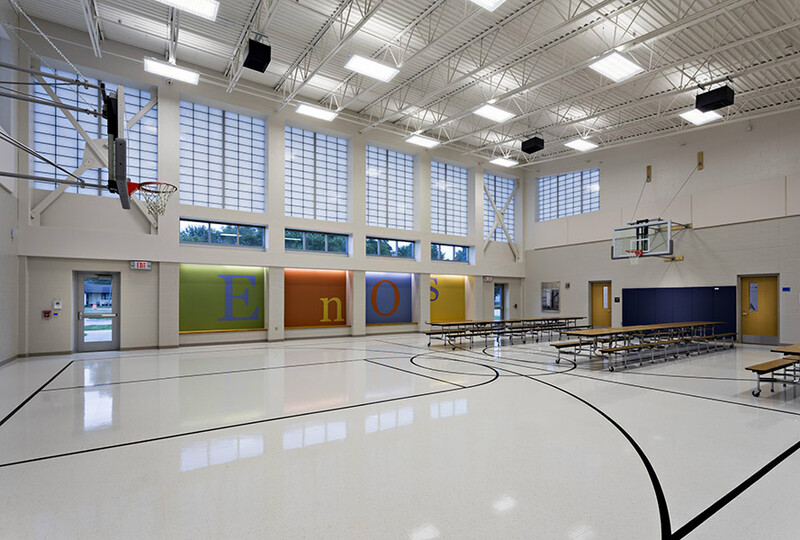 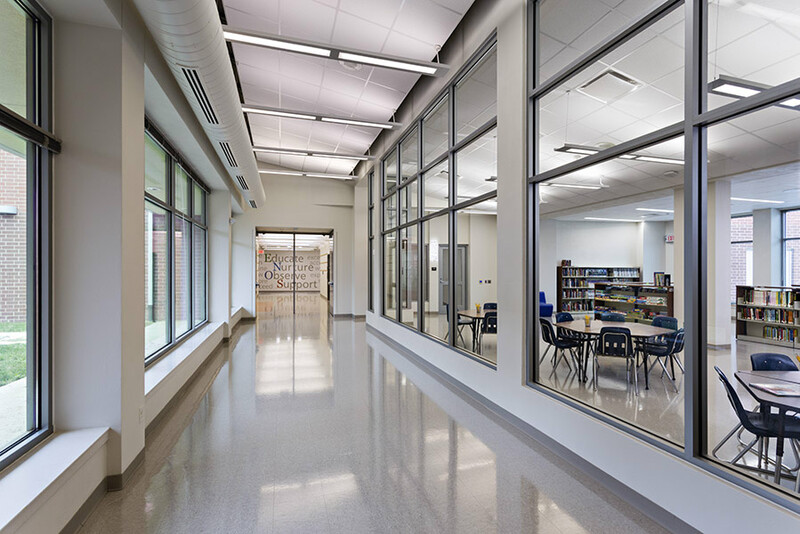 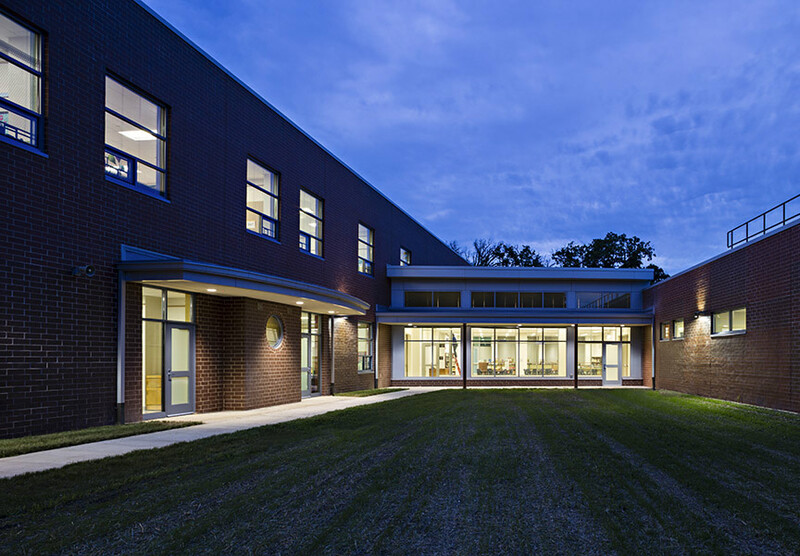 Built in 18 months and within budget, the Enos Elementary School in Springfield included three phases of construction. 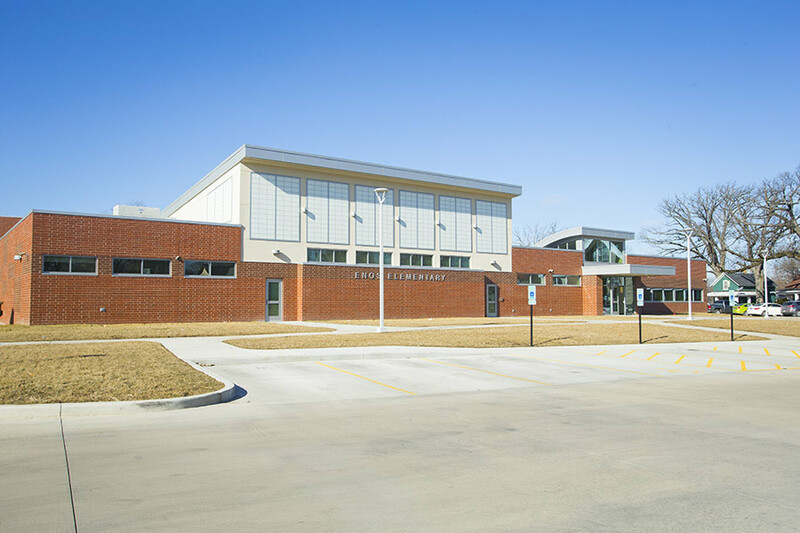 With Halverson Construction as general contractor, the project encompassed construction of 19 new classrooms on an existing lot, demolition of the old building to make way for a new administrative office, gym and cafeteria. 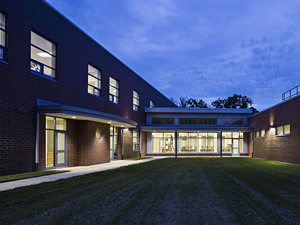 The final phase added a library between the two buildings increasing student security.